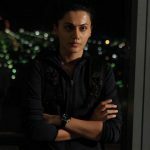 Director Shivam Nair’s latest venture Naam Shabana was released last Friday with decent buzz among audience and started it’s journey on a satisfied note. Afterward it witnessed usual drop in weekdays but managed to remain steady throughout the opening week across the country. Audience found Naam Shabana thrilling and liked the power-packed performance of Taapsee Pannu. Unfortunately it has got failed to impress all the critics, as some of them have not found it as per earlier expectations. But still because of the enormous stardom of superstar Akshay Kumar (extended cameo), the movie has got succeed to perform decently. 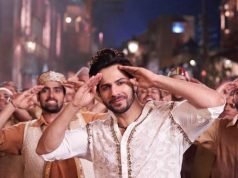 With a decent start, this prequel to 2015’s Baby recorded constant growth over the opening weekend and did the business of total 18.76 crores, which was including 5.12 crores of Friday, 6.37 crores of Saturday and 7.27 crores of Sunday from around 2100 screens in India. In weekdays, Neeraj Pandey’s production venture faced abrupt dip in it’s business graph but maintained a steady pace. 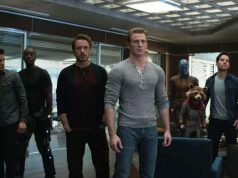 On Monday with 49.60% of drop than Friday, the movie managed to collect the amount of 2.54 crores. 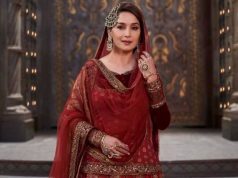 Then on Tuesday due to Ram Navmi holiday, it added the amount of 2.50 crores to the account. 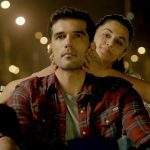 With further decline on Wednesday, Naam Shabana minted the amount of 1.80 crore. On the last day of week i.e. Thursday, Taapsee starrer witnessed little more drop and garnered the business of 1.58 crore. With this, it’s one week total collection has become 27.18 crores on domestic box office.